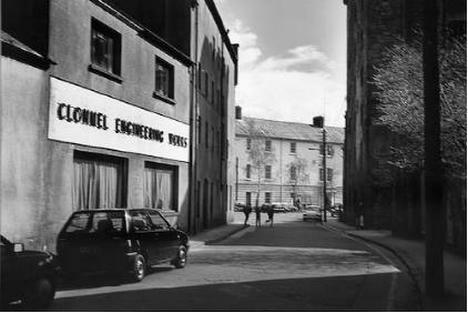 Barlo Engineering trading as Clonmel Engineering Works was started by Matt Barlow in 1944 (father of Sean Barlow) .The original premises was in Emmet Street, Clonmel where Market Place Shopping Centre is now located. Business kept going from strength to strength during the 1960's and 1970's, and in 1978 , the newly named Barlo Farm Machinery moved it's Clonmel premises to a brand new facility which was opened by Mr Jim Gibbons, the then Minister for Agriculture. Barlo Farm Machinery served the farming community with great pride from it's 5 branches, namely Clonmel, Kilkenny, Thurles, Tipperary Town and Dungarvan right up to the early 2000's. A new generation of the Barlow family were coming through ,and in 1989 , Barlo Motors was appointed as Main Ford dealer for South Tipperary. The ' Barlo' name meant a lot to people and it was seen as a great move forward for the area to have Barlo Motors selling Ford cars and commercials. Sadness came in 2002 when Dealer Principal Ray Barlow passed away after a short illness. The company re-grouped and Alan and Ivan Barlow came to the helm and this is still how things are today. Picture taken outside of Barlo Engineering with Michael Curran, Tony Johnson, Pat Fennessy, Aidan Barlow, Anthony O' Flynn, Tony Carroll, Sean Barlow, Ned White and Con Barlow.